The phone rang as I was preparing for a shift at the orchard. Heavy rains had Rapid Creek flooding its banks and the nearby pumpkin patches. Apple trees on the south side of the creek would be inaccessible until the water receded, maybe Sunday, my supervisor said. We chatted a bit then I let her go to call the rest of the crew. They’d only need a few people for the anticipated number of customers. Crates of bell peppers and onions were stacked downstairs waiting to be prepped for freezing, so there was plenty to do on an unexpected day off. Like most low-wage workers, when I don’t work, I don’t get paid, so I’m ready to work when the creek surge passes. Working in the kitchen, while important, yields no currency. The cancellation gave me a chance to arrive at the farm’s fall potluck dinner before the food was all eaten. 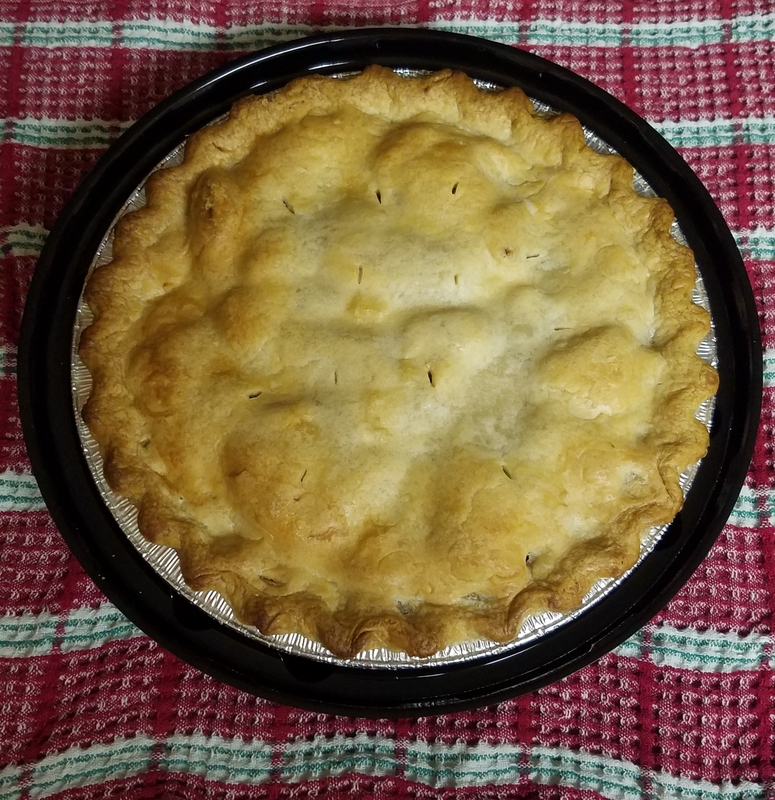 I baked an apple pie from the orchard to share and drove over early for the first time in years. 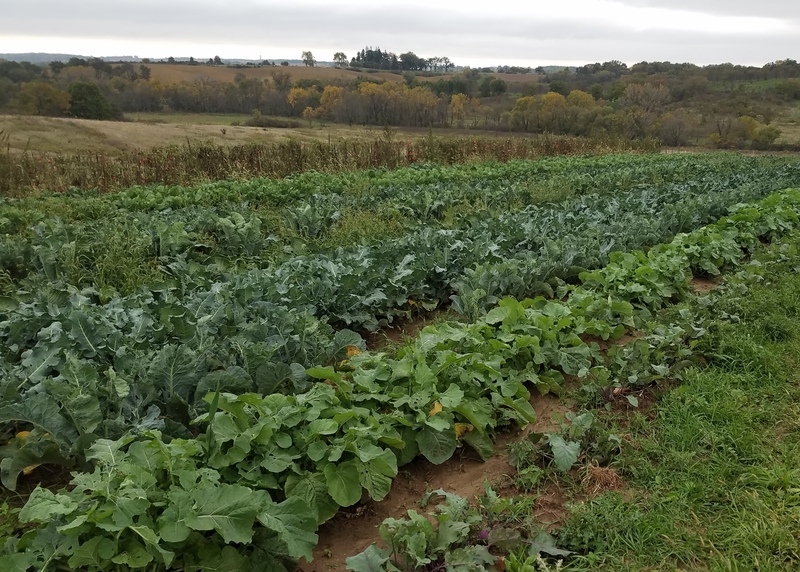 We toured the farm which was vibrant with fall colors. The food and company was excellent. I met new people and farm friends to hear their stories. At home the ground was squishy with water. That hasn’t happened much since we moved to Big Grove. The garden continues to produce and I picked what is likely to be the last cucumber. I rely on my bartered CSA shares for fall cruciferous vegetables. Based on the visit there will be plenty this year. Finding enough to eat has not been an Iowa problem. Ever since discovering and nurturing an ecology of food the abundance of nature became obvious and my focus turned local. What can I grow myself? What can I rely upon from my farmer friends? What can I get to improve the quality of our cuisine from the markets? Food ecology forms a framework upon which culinary culture is hung. Once recognized, nourishment flows like the rain that flooded the orchard and our yard. 2018 has been a year of weird weather and it is not finished. The state and municipalities did not adequately consider short, heavy downpours when designing our roads and infrastructure. Gravel roads were washed out after the storm. Flash flooding crossed major thoroughfares in the county seat. Call it what you will but the weird weather is taking a toll on food producers and their customers. We are all connected and the harm by changes in weather is obvious and everywhere. It’s part of sustaining a life in a turbulent world. 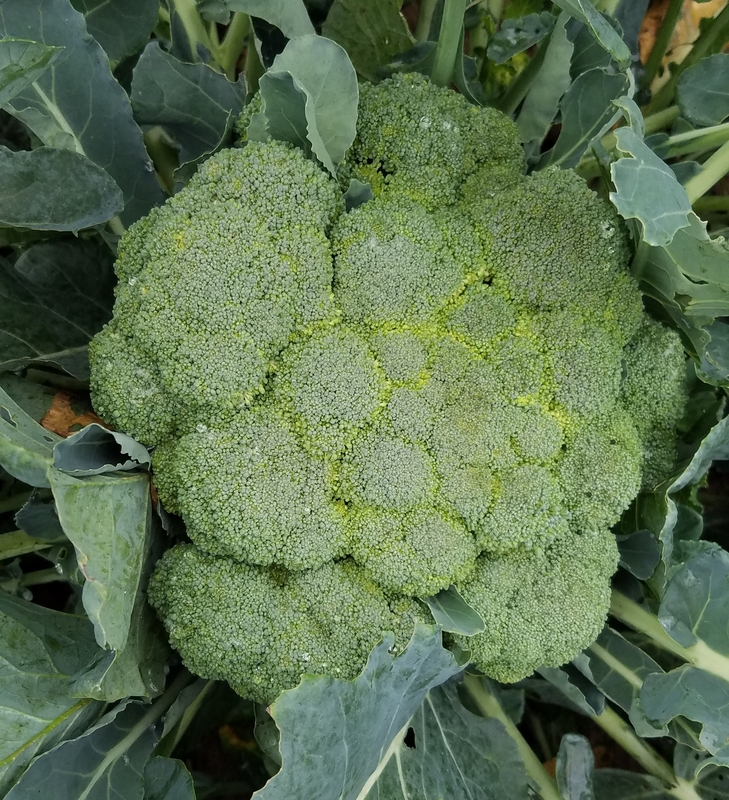 This entry was posted in Local Food and tagged climate change, environment, farming, Garden, local food, sustainability. Bookmark the permalink.